WASHINGTON (Sputnik) - The United States, United Kingdom and France said in a joint statement on 5 April that they are committed to holding the perpetrators of alleged chemical attacks in the Syrian towns of Duma and Khan Sheikhoun responsible for their actions. Idlib is one of the last Syrian areas where militants, including the Jabhat Nusra terrorists, are still reportedly active. Moreover, a lot of militants have been brought there from other regions under deals with the authorities. According to the documents published by the Organisation for the Prohibition of Chemical Weapons (OPCW), chlorine was used in an alleged chemical attack in Syria's Douma in April 2018. Those involved in the production of the fake Douma chemical attack video should be punished, Jamal al Zuobi, a member of the defence council in the Syrian parliament, told Sputnik. A BBC producer based in Beirut recently said that hospital scenes filmed after the April 2018 Douma ‘attack’ were staged. 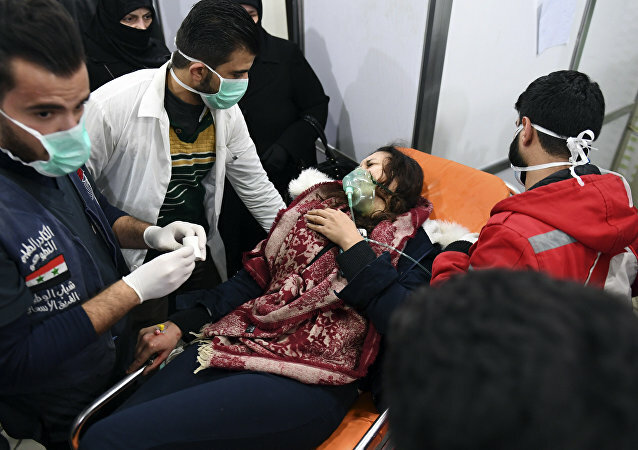 UNITED NATIONS (Sputnik) - Western states will ignore the recent findings on fabricated evidence of an alleged chemical weapons attack in the Syrian city of Douma due to these countries' anti-Damascus ideology, Russian Ambassador to the United Nations, Vassily Nebenzia, told Sputnik. 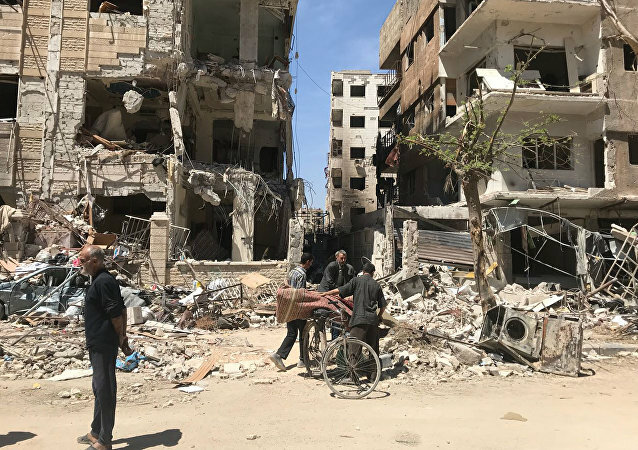 On 14 April 2018, Britain, France and the US launched missile strikes on Syria in retaliation for what they had said was a chemical attack allegedly staged by Syrian President Bashar Al-Assad on the Syrian town of Douma. 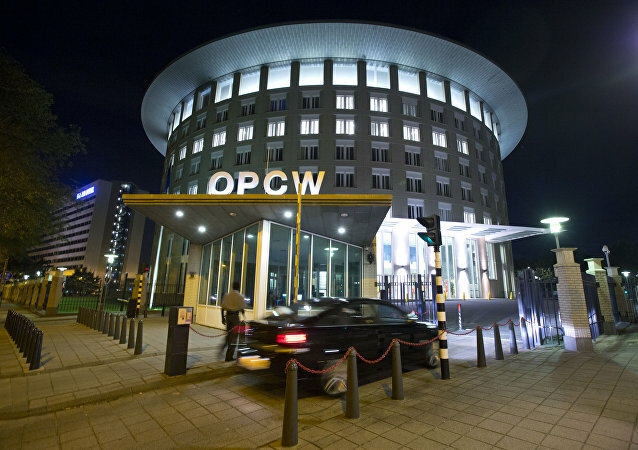 MOSCOW, 8 January (Sputnik) - The Organisation for the Prohibition of Chemical Weapons (OPCW) on Tuesday said that it sent its Fact-Finding Mission (FFM) to Syria in early January to gather data on the alleged chemical weapons attack in Aleppo. On December 7, US State Department alleged that the Assad government and Russia had falsely accused opposition and extremist groups of carrying out a chlorine attack in Aleppo. The Syrian government has yet to comment on the US accusations. In November, the Russian Defence Ministry confirmed the use of chlorine-filled shells by terrorists in the Syrian city of Aleppo. The chemical attack launched by terrorists in western Aleppo should not go unpunished, Russian President Vladimir Putin said. Chemical Attack in Aleppo: What May Happen Next? 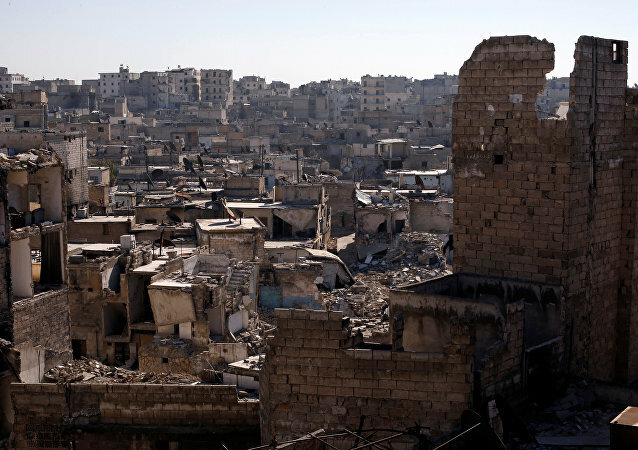 According to Syrian expert Salah al Hashawati, the chemical attacks in Aleppo indicate the US intention of continuing to achieve its goals in Syria. Syria has an extremely advantageous geopolitical position, so Washington won’t retreat so easily the expert added, proposing two possible scenarios. MOSCOW (Sputnik) - French President Emmanuel Macron expressed hope on Sunday that the information about the Saturday chlorine gas attack on the Syrian city of Aleppo will be sent to the Organisation for the Prohibition of Chemical Weapons (OPCW) and everyone responsible for the incident will be identified. MOSCOW (Sputnik) - Militants are preparing new provocations with the use of chemical agents in the Idlib de-escalation zone in Syria, the head of the Russian Center for Syrian reconciliation said Thursday. According to the Russian Defense Ministry, the filming of the fake chemical weapons' attack has already begun. MOSCOW (Sputnik) - The US-led international coalition's reported airstrikes in Syria with the use of banned white phosphorus munitions must be investigated at the level of the UN Security Council and OPCW if the reports are confirmed, the Russian parliament's lower house’s defense committee member told Sputnik. 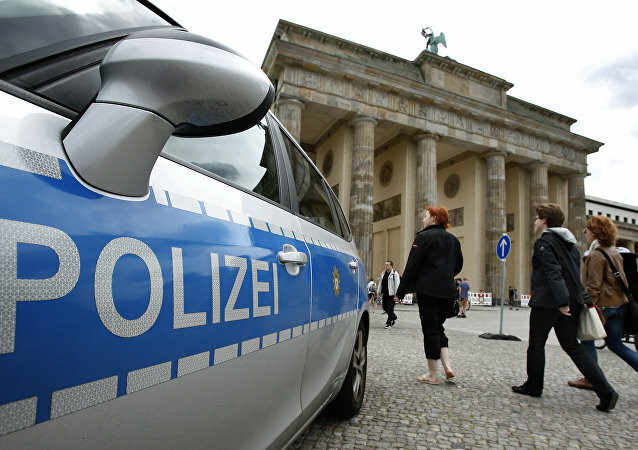 BERLIN (Sputnik) – German police special forces detained a 21-year-old Syrian citizen, suspected of preparing a terrorist attack in Israel, in a Berlin cafe, Bild newspaper reported Thursday. Turkey is reinforcing its military positions in Syria’s Idlib province ahead of the anticipated offensive by Syrian government troops and its allies. 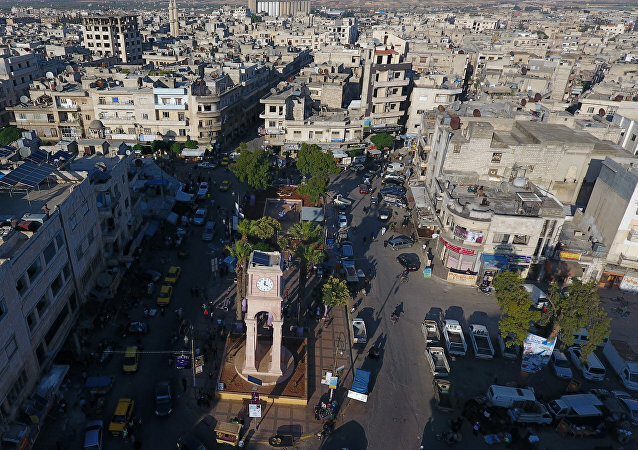 Idlib is the last remaining rebel stronghold in the country. This comes despite Turkey’s warnings that a military operation could lead to disaster and to a massive wave of refugees.